The Pittsburgh Steelers made some really positive steps forward Saturday night despite losing a rare preseason overtime game to the Kansas City Chiefs. The offense was better than in the previous two games and much of that was provided by Ben Roethlisberger who again proved he can still make plays with his feet and arm. 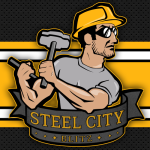 As you can tell though I’m getting to something negative and sadly there are numerous things I could point to but I’m focusing on the debacle that has become the Steelers’ special teams unit. When average fans ask me about the Steelers so far in 2013, they often laugh at me when I say the special teams is going to be the death of this team. They laugh because they find special teams rather meaningless but anyone that knows football knows the significance of the this phase of the game. Right now, the third phase is hurting this team. I know I have to use the obligatory ‘it’s only preseason’ phrase but still, this unit stinks. So far through three games, this unit has had a field goal blocked, has a muffed punt and another that was touched and recovered by the opponent (it was overturned but my point remains). They have also had a punt blocked, have given up several long punt returns and have surrendered a kickoff return for touchdown as well. The argument by new Special Teams coach Danny Smith will be that many of these guys will not be on the roster and therefore the unit will be improved when the regular season begins. It’s a fair point but it isn’t one I can completely accept. Why? Because several of the guys making poor plays will more than likely be on the team. 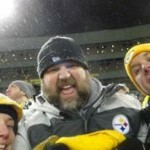 The ugly play by the special teams makes me wonder just how bad Al Everest had screwed up with Mike Tomlin. Everest you’ll remember was fired, errrrrrr, dismissed by Tomlin during the preseason last year and Tomlin has said very little if anything as to why. The special teams under Everest wasn’t great but it sure as hell was better than what we are seeing from Danny Smith. I have no idea where this unit is headed as the regular season nears but it can’t be much worse than what we are seeing now. The punting job remains open (as of this writing) and the return job of both the punt and kickoff variety is up in the air as well. 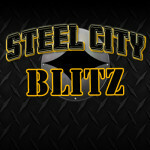 The Steelers already have suspect issues with depth and an offensive line that has instilled little confidence. If the special teams’ unit can’t get its collective head out its rear end then my hopes for a successful season are in jeopardy. With Bell Out Is Steelers’ “Committee” Back? I agree…special teams have been a disaster so far but I don’t think that necessarily means they will be when the regular season starts. There is some truth that there are a lot of guys that are on speical teams that won’t make the roster. While it’s a concern…I do believe there will be improvement. How much is the question? You make a great point Kelly and thanks for reading. While the official special teams unit will be better once the regular season starts, I’ve seen things with this unit that are still a bit alarming in terms of blocking mistakes and assignment errors. Is that the player or the coach? We’ll find out but I hope you’re right!